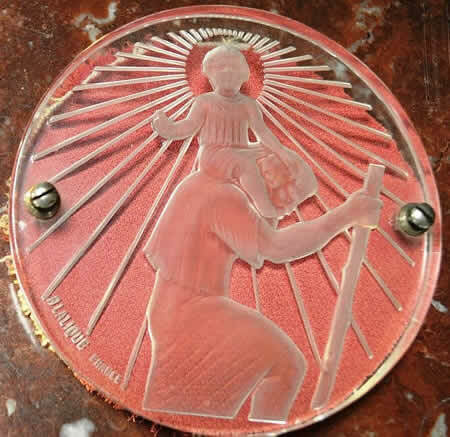 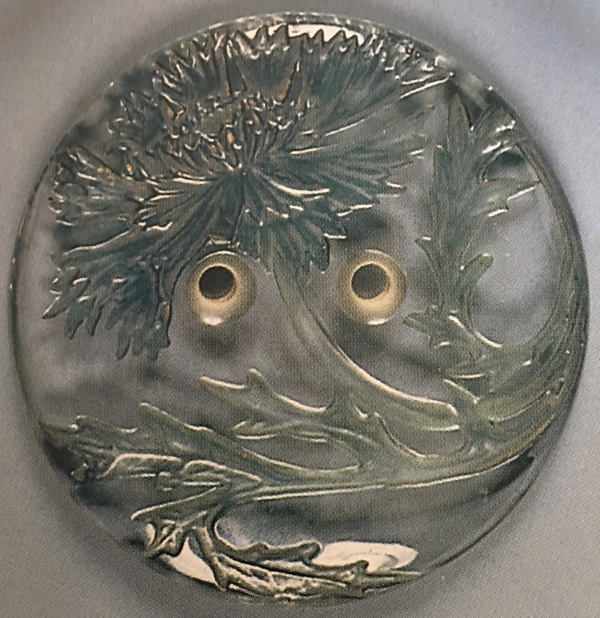 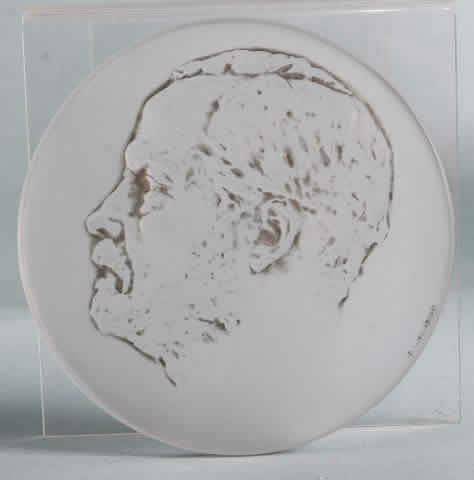 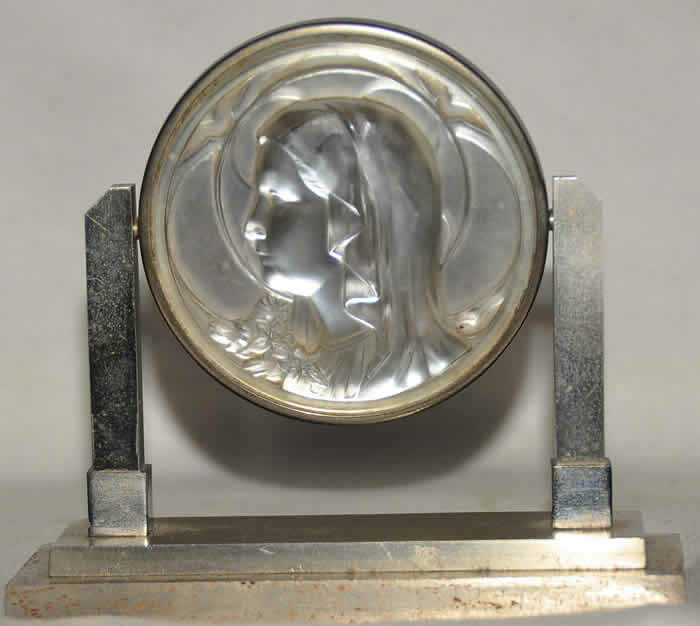 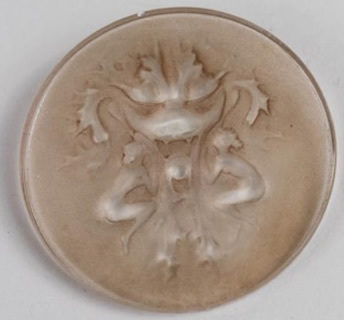 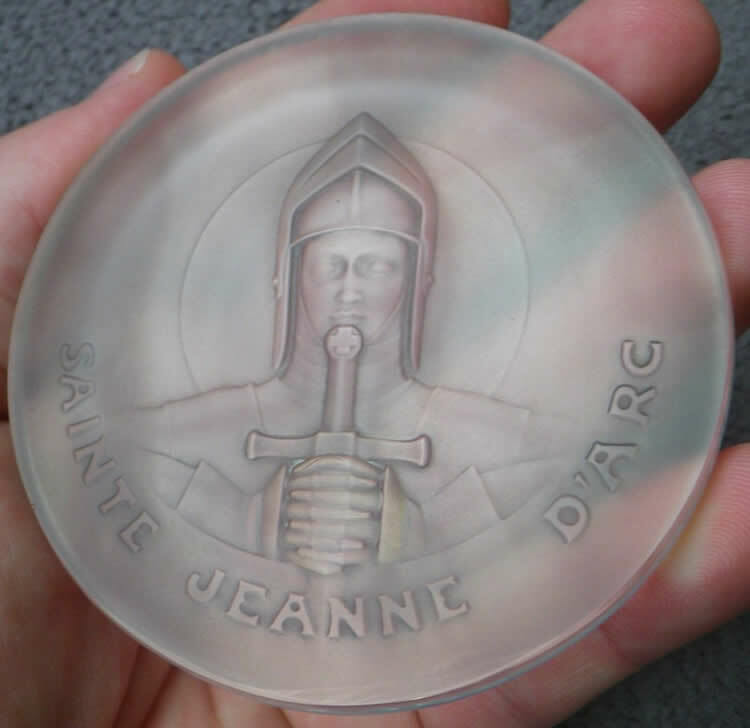 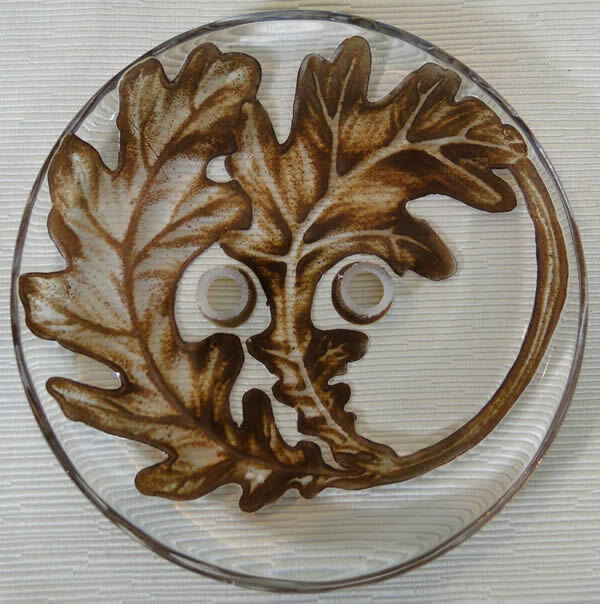 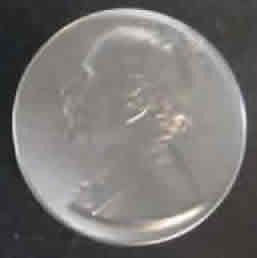 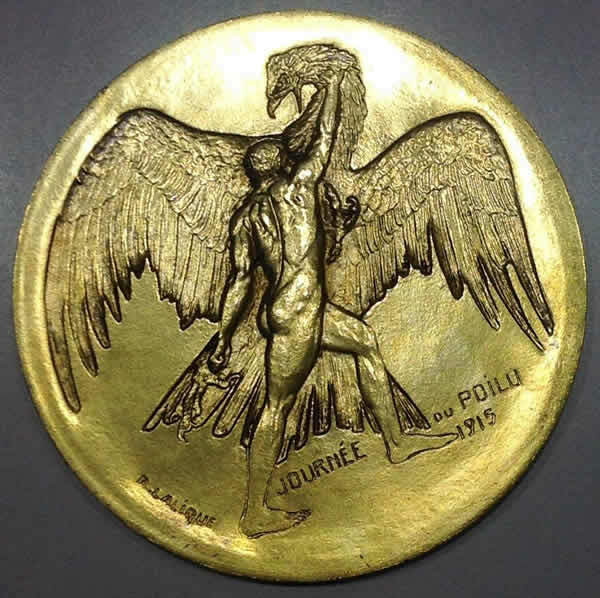 Rene Lalique Medallions: On this page are examples of all the Lalique Medallions in our database. 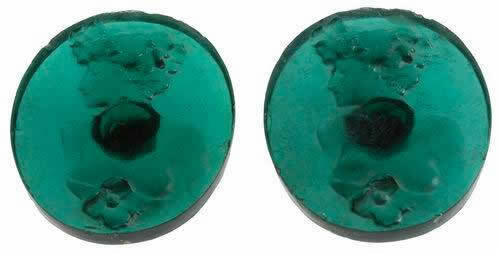 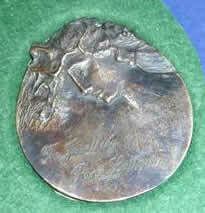 We classify round or mainly round small items that don't fit in elsewhere as medallions. 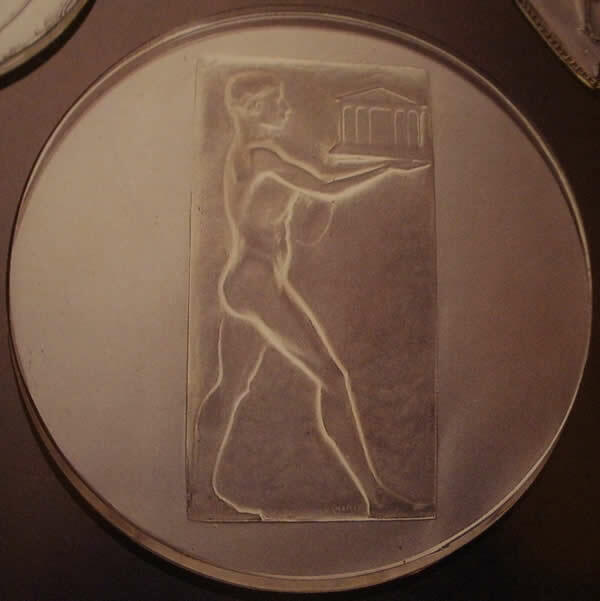 Rectangular non-architectural small items not included elsewhere are found in the plaques category. 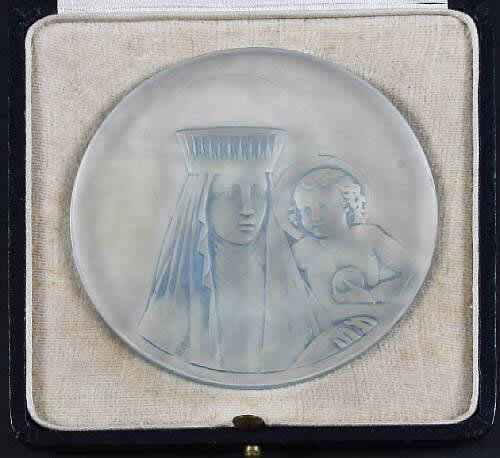 We also list medallions of closely related interest such as the Jewellery Exhibition medallion shown below. 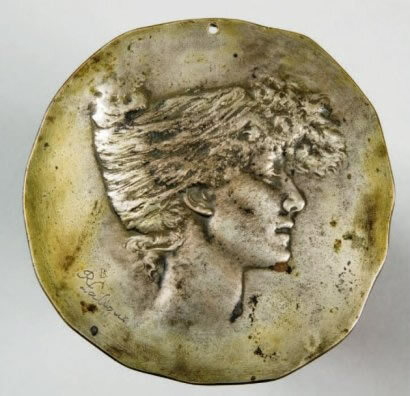 The French word for medallion is medaillon. 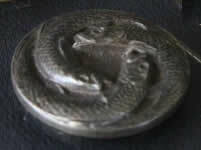 The links below will take you to the page for the item shown or a model page for that model medallion. 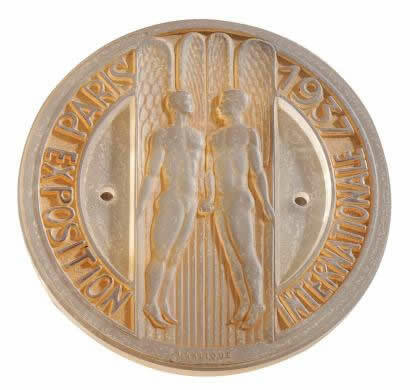 Note: If you don't see your medallion here, check Plaques, Signs, Pendants, and Invitations.